Charles Fillmore and Eric Butterworth, as well as contemporary teachings. things" to discover their own beliefs about money, abundance and lack. things" to discover their own beliefs about money and abundance. Thursday, September 21: 6 - 9 p.m. 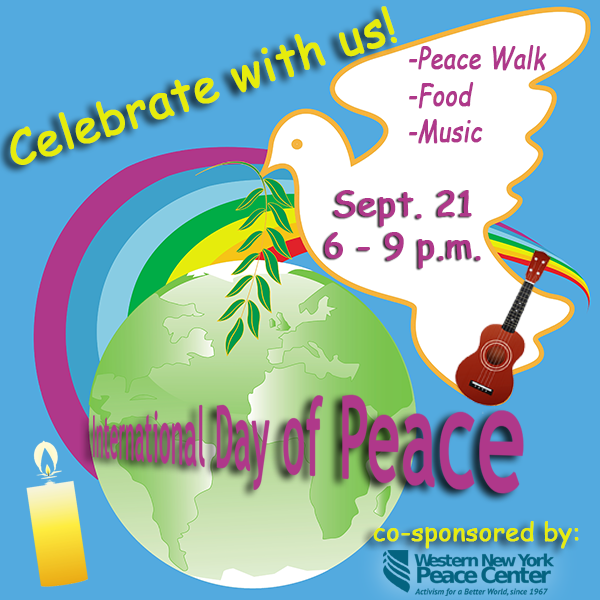 Please join us, in partnership with The Western New York Peace Center, in celebrating the U.N. sponsored International Day of Peace, and observe and celebrate this global day shared with all humanity.